Here is an excerpt from a New York Times article that supports the idea that inflammation is the primary cause of Restless Legs Syndrome. “Restless Leg Syndrome” New York Times Online (Dec. 12, 2009) health.nytimes.com/health/guides/disease/restless-leg-syndrome/medications.html Reviewed by: Harvey Simon, MD, Editor-in-Chief, Associate Professor of Medicine, Harvard Medical School; Physician, Massachusetts General Hospital. Also reviewed by David Zieve, MD, MHA, Medical Director, A.D.A.M., Inc.
NSAIDs is an acronym for “Nonsteroidal Anti-Inflammatory Drugs.” These are the pharmaceutical anti-inflammatories that Doctors prescribe. What this excerpt is telling us is that Doctors treated RLS patients with anti-inflammatory drugs, and they worked well to lessen the patient’s inflammation and RLS. Unfortunately the dangerous side effects that NSAIDs create eliminate them as a viable remedy over an extended period of time. NSAIDs are not an option because of their dangerous side effects. This isn’t a reason to ignore the obvious evidence that inflammation is a key component of RLS. It’s an important clue that Doctors and Scientists seem to be skipping over, simply due to the fact that they don’t have an effective drug that deals with chronic inflammation. Even though a proper diet and a few vitamins, minerals and herbs can quickly heal your inflammation (and RLS), the chances of your Doctor recommending any of these is zero. For some, this is the ultimate sacrifice. For some it’s impossible to even consider. According to the statistic below, the average person is supposed to consume no more than 30 grams of sugar a day. 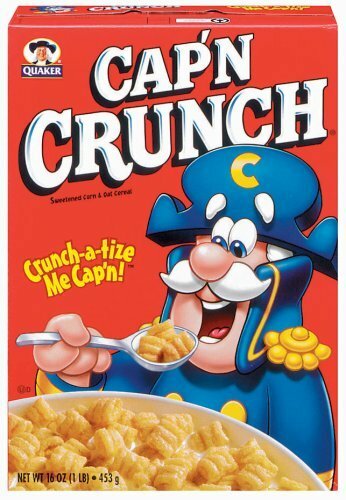 There is 24 grams of sugar and 200 calories in a bowl of Cap’n Crunch … so if you’re starting the day off with a boost from Cap’n Crack, that doesn’t leave a lot of wiggle room for the rest of the day. You pretty much have to pull the sheets over your head to avoid going over the recommended amount. There’s even sugar in table salt. Glucose is a sugar (the main sugar in corn syrup), and is added in small amounts (0.04%) to salt to prevent the potassium iodide from breaking down into iodine, which evaporates away (sublimes). When it comes to RLS, it’s not a matter of cutting out ALL sugar in all of its excellent tasting forms forever. It’s simply a matter of cutting back while the inflammation is healing in your legs. Once the inflammation heals to a certain degree, you won’t have such severe reactions when you do consume sugar, msg, gluten etc. There will likely be some quivers as a result of consuming a big piece of chocolate cake and ice cream, but the irritation will be a FRACTION of what it was when your legs were fully inflamed. So, again the key to recovering from your RLS is to make the BIG sacrifice for the first few months, and then develop a diet that suits your needs. After a couple of months of valuable discipline, you’ll know that the decision is yours alone as to your level of your RLS discomfort. You’ll no longer be able to scream at the sky cursing that you have been burdened with this incurable disease. You’ll know after a short stint of taking this remedy’s collection of vitamins, minerals and herbs … and watching your diet carefully … that there is a cure, and that it lies solely in your hands. If you’re a big sugar lover, and NEED to have your daily sugar fix, record the effect that it creates. That should make the connection between inflammation, sugar and RLS more real for you, and should also make the decision to back away from your favorite treats a little easier. Sugar is an informal term for a class of edible crystalline substances, mainly sucrose, lactose, and fructose characterized by a sweet flavor. In food, sugar almost exclusively refers to sucrose, which primarily comes from sugar cane and sugar beet. Other sugars are used in industrial food preparation, but are usually known by more specific names—glucose, fructose or fruit sugar, high fructose corn syrup, etc. Excessive consumption of sucrose has been associated with increased incidences of type 2 diabetes, obesity and tooth decay. In September 2009, the AHA (American Heart Association) released new limitations on added sugar intake. Their results show that women are to consume no more than 25 grams of added sugar daily and men are restricted to 37 grams. The average American consumes between 3 and 5 pounds of added sugar a week, adding up to 200+ pounds of added sugar a year per person. A 12 ounce can of regular soda alone contains 39 grams of added sugar, far exceeding the recommended limit for adults. IUPAC. Compendium of Chemical Terminology, 2nd ed. (the “Gold Book”). Compiled by A. D. McNaught and A. Wilkinson. Blackwell Scientific Publications, Oxford (1997). goldbook.iupac.org/S06088.html ISBN 0-9678550-9-8. doi:10.1351/goldbook. Williams MD, Nadler JL. “Inflammatory Mechanisms of Diabetic Complications.” Eastern Virginia Medical School. Current Diabetes Reports. 2007 Jun;7(3):242-8. For RLS focus on diet and nutritional supplementation. Avoiding caffeine is important. Because RLS may be associated with hypoglycemia, eating a sugar-free, high-protein diet with a protein snack at night may decrease episodes of cramping and RLS at night. By changing my diet, I am now free from all the poisonous prescription medications. My diet has little or no cane sugar, low in bad fats (saturated, hydrogenated, no fried foods!) high in good fats (omega 3 and 6). Anyone with RLS should also limit alcohol intake, quit smoking and eliminate sugar, caffeine and refined foods from her diet. A small Dutch study, published in December 2006 in the Dutch journal Nederlands Tijdschrift voor Geneeskunde, even found a connection between saccharine and RLS. Throughout my life there has seemed a large correlation between night, or evening, consumption of sugar and a RLS event. Even a cookie or a soda could set it off. Has anyone else noticed this? Hey I did an experiment earlier, and i noticed that if i cut as much sugar out of my diet as possible, the restless legs eases considerably. 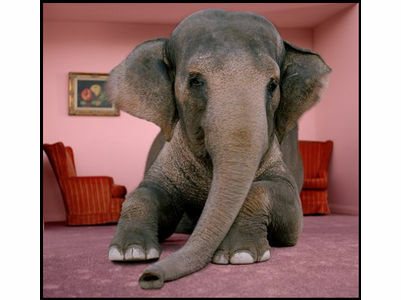 I had a bit of a sugar fest yesterday, and worried that i would be ‘dancing’ all night, I had some cinnamon tea. (cherry and cinnamon). Cinnamon regulates the blood sugar, and I did NOT have restless legs AT ALL!!!! Post subject: Has anyone else noticed…? What I have noticed is that when I stick to a healthy diet, my RLS symptoms seem to flare up much less frequently than when I eat junk foods, especially sugary snacks shortly before bedtime. If I have a sweet donut or two at night, I’m done. It will be hours before I can get to sleep. I assume that’s the amount of time it takes for my body to process the sugar. Any sort of sweet food will do it to me. Last night I finally fell asleep as the sun started to rise. I didn’t know whether to give sleep one more chance or just hop in the shower and start the day. Has anyone else noticed a correlation between sugar and RLS? I eliminated caffeine and started taking vitamin/mineral/amino acid supplements. I also revamped my diet to include only “whole foods” fruits, veggies, raw nuts, some dairy, whole grain bread, lean meats, eggs, and lots of filtered water. No processed foods, white flour, sugar, etc. As a moderate drinker I have also cut back to being a “light” drinker. I also take epsom salt baths a couple nights per week and lotion my feet every night before bed. I am pleased to say that my RLS symptoms have subsided and I am sleeping well on most nights. Joy Victory, “Studying the ‘Sweet Tooth’: Rats Given High Sugar Diet Show Strong Urge to Have More and More.” ABC News (May 25, 2006). abcnews.go.com/Health/Diet/story?id=2001298&page=1 BG Hoebel, P. Rada and NM Avena, “Evidence for sugar addiction: behavioral and neurochemical effects of intermittent, excessive sugar intake”. Neuroscience and Biobehavioral Review 32: 20-39. PMID 17617461 (2008). Leah Ariniello, “Sugar Addiction” Brain Briefings, Society for Neuroscience (October 2003). Sandra Blakeslee, “How Brain May Weigh the World With Simple Dopamine System.” New York Times (March 19, 1996). The First Step to Healing Your Restless Legs: Put out the Fire! 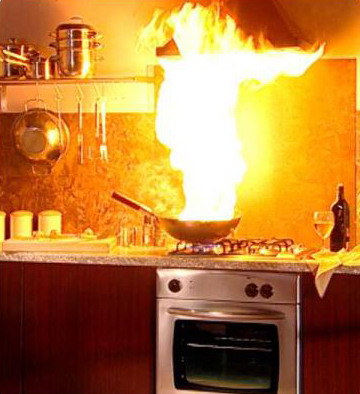 If a fire breaks out in your kitchen, the first thing you need to do in order to save your house, is to put the fire out. Nothing else matters. You can switch medications all you want, philosophize about why your legs are rustling … and why only at night, read articles on how RLS is kind of like Parkinson’s Disease, and how it’s kind of like Crohn’s Disease, post on RLS discussion boards about your dismal side effects and how profound your RLS is compared to other people’s … but until you shift your WILL, and make a CONSCIOUS decision to PUT OUT the fire that is causing your pain … nothing is going to change. We put out the fire by taking natural anti-inflammatories – as MANY of those from this remedy that you are able to take. Look at each anti-inflammatory as a different firefighter with a firehose. The best way you can attack the inflammation is from all angles with as many firefighters as you can round up. This will speed up the healing process immeasurably. Again, it’s crucial … absolutely essential that you begin to watch your diet. You need to at least pull back a bit from your regular intake of the most common RLS antagonists (caffeine, gluten, aspartame, sugar, salt, MSG and alcohol). Taking the natural anti-inflammatories while you continue to consume a diet FULL of RLS antagonists, is like spraying 3 hoses of water on the kitchen fire, and 2 hoses of gasoline. A little progress will be made, but the healing will not be as nearly as quick and effective as it could be. 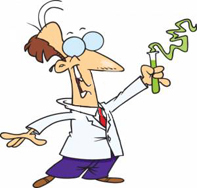 Most RLS sufferers, and ALL Scientists and Doctors believe that my remedy for RLS is nothing but another example of the Placebo Effect in action. They insist that RLS has nothing to do with inflammation. Their most common guess states that RLS is due to a lack of dopamine production … with a secondary connection to low iron levels. Doctors throw around the words “placebo effect” the same way that athiests throw around the word “coincidence.” They can’t explain something, so they beat it back into the dark with this never-failing label. In their minds, everything goes back to the way it was. So, I had to do some more digging to prove to these people that there is a connection. 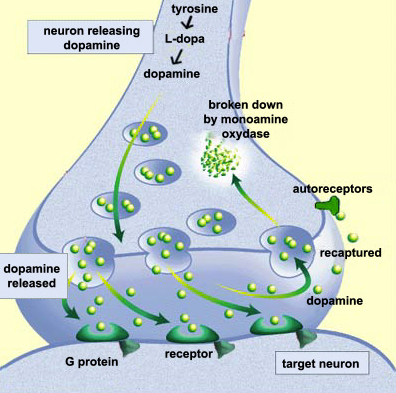 I put on my detective hat and went back to the dark and scary world where the mice torturers torture the mice, to find if there is any sort of proven connection between dopamine levels and inflammation. It turns out that there is a profound connection! Below you’ll find scientific proof showing that inflammation has a direct negative effect on dopamine levels. I also found scientific proof that most of the supplements in this RLS remedy help to stabalize or increase dopamine levels. And I found scientific proof (to no one’s surprise) that the most common RLS antagonists (gluten, sugar, msg etc.) ALL have a negative effect on dopamine levels. Barry Sears, Ph.D., “Brain Drain Due to Silent Inflammation: ADD to Alzheimer’s Disease” The American Chiropractor (May 2006). Bin Liu, Jian-Wei Jiang, Belinda C. Wilson, Lina Du, San-Nan Yang, Jiz-Yuh Wang, Gen-Cheng Wu, Xiao-Ding Cao and Jau-Shyong Hong, “Systemic Infusion of Naloxone Reduces Degeneration of Rat Substantia Nigral Dopaminergic Neurons Induced by Intranigral Injection of Lipopolysaccharide” The Journal of Pharmcology and Experimental Therapeutics Vol. 295, No. 1, JPET 295:125-132, (2000).